ASI industry leadership and expertise has resulted in many innovations including SignPlan™, a comprehensive, phased process that brings clarity and purpose to the complex task of developing, specifying and implementing an architectural signage program. SignPlan™ is a planning process that identifies and provides project-specific solutions that follow ADA and code regulations, wayfinding and messaging challenges, fulfill design intent, communicates brand identity, addresses documentation needs and facilitates on site and on time project installation, and ensures industry leading after sale service including efficient reorder fulfillment. ASI’s team of experienced sales consultants work closely with each client to thoroughly evaluate the architectural sign solution needs and risks associated with their project. Trained to listen carefully and ask pertinent questions the consultants will gather the information necessary to begin crafting a solution. Information gathered from the consultation, will be evaluated by ASI professionals, assessing the needs of the client and initiating the process of developing a solution that will address all customer requirements. Whether interior, exterior, digital or donor recognition is the need, ASI’s objective is to exceed customer’s expectations. Our deep understanding of all complex environments such as healthcare facilities, educational campuses, corporate facilities and cultural institutions give us a unique perspective of the challenges, needs and expectations of our client. Whether the project scope is a newly constructed or an existing building, our consultants will visit and examine the facility, including all interior and exterior areas, to better understand the challenges and opportunities that the location presents. Using the information gathered from identifying client’s needs, visiting the facility and from blueprints of the facility, our consultants will methodically begin the process of developing a wayfinding program. A thorough assessment of the traffic flow of the facility by ASI’s professionals is a key component of the wayfinding development. The wayfinding process will also uncover and address all local and federal regulations and ensure compliance with all of them including consideration of all ADA guidelines. Pathways to Success, The Benefits of Wayfinding Signage. ASI will collaborate closely with the client or their design team to develop a sign system that complements and enhances the design intent. ASI itself has a large team of graphic designers that can assist in or assume the responsibility for creating a fulfilling design for the facility. An organization’s brand is the most valuable asset on its balance sheet. 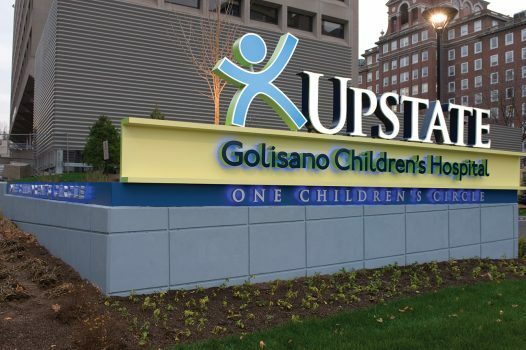 ASI’s professional team has had a vast amount of experience and successful track record at integrating an organization’s identity into its signage package thereby positively reinforcing the client’s brand. 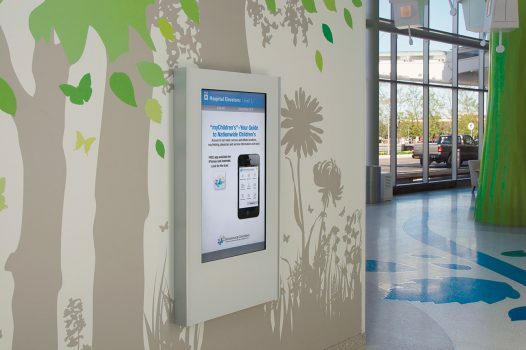 Learn how ASI’s proven process, SignPlan, can create a comprehensive plan of action for all your signage needs. Having gathered all relevant information our consultants will select the sign solution that best satisfies all the client’s needs including, design, materials, brand, sign location and budget. The recommended solution may be completely customized or a more standard solution – it’s all about fulfilling customer needs and expectations. 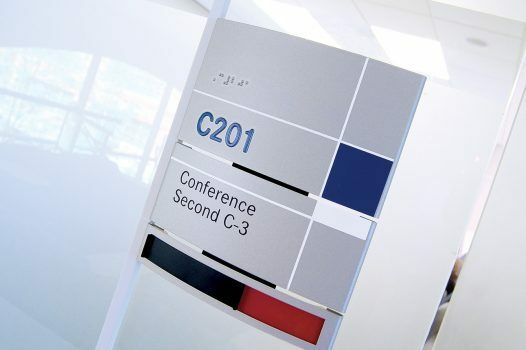 Interior signage is the key to communicating with and presenting an effective wayfinding plan to guide visitors and staff throughout your facility. ASI offers the broadest portfolio of interior architectural signage solutions to help you manage traffic, communicate messages and promote your brand. Exterior signage provides the first opportunity to make an impression on your visitors. Whether you need brand identification or a wayfinding signage solution to guide your visitors and staff, ASI can develop an exterior architectural signage program tailored to your exact needs. ASI offers dynamic digital displays and touchscreen signage solutions for interior architectural environments. Our digital signage solutions are designed to enhance the human interface experience by offering dynamic, timely and relevant wayfinding information in a highly visible manner. Once our team has crafted a sign solution and fulfilled the client’s design and branding expectations, the client will be presented with drawings, wayfinding analysis, message schedules and other requested information to help move the process forward. Once the necessary approval is received from the client the project will be handed over to a project management team in order to guide the process through fabrication and completion. After approval the project is handed over to our experienced team of project managers. These professionals, aided by proprietary ASI software have the primary goal of ensuring that your project is completed on time and according to your expectations. They co-ordinate with vendors, sales consultants, the fabrication department and you, the client, to ensure efficient and accurate production of your solution. Additionally, our project managers will ensure that all necessary permits are obtained from the authorities prior to commencement of fabrication. The ASI team includes skilled sign engineers and craftspeople with the knowledge that comes from extensive hands-on experience. 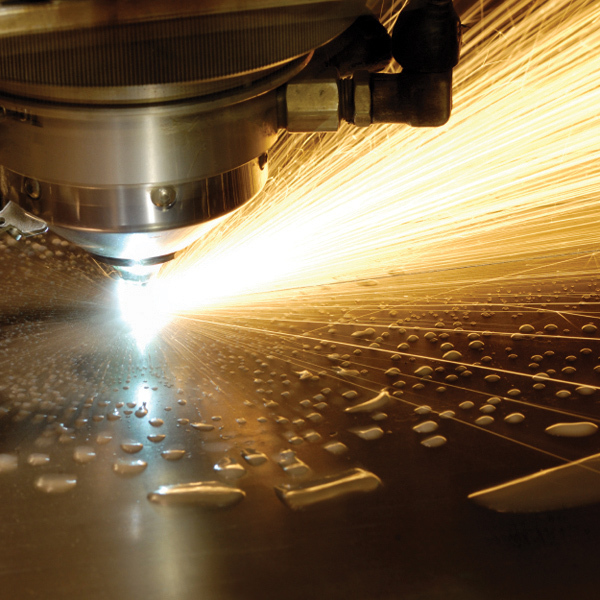 ASI has multiple manufacturing facilities and alliance partners strategically located throughout North America, Europe and Asia. Whether your project is local, national or international, we have the facilities and the capabilities to satisfy all of you signage needs. Once fabrication is complete and quality control has signed off on the signs they are ready for shipping and installation. If signs are to be shipped to distant locations our shipping and packing department has developed the necessary protocols and possess the necessary skills to ensure that the signs will arrive, anywhere around the globe, undamaged. 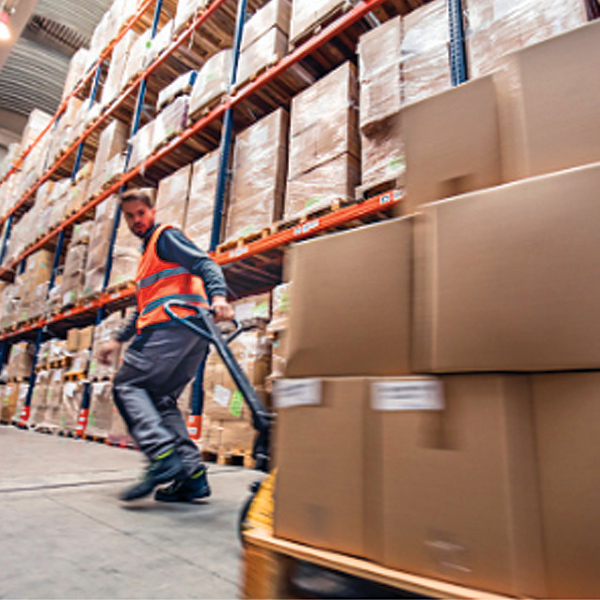 If the signs are to be shipped to a foreign destination the shipping department possess the knowledge to secure customs clearance anywhere in the world. ASI has the experience and know-how to successfully install signs in locations worldwide. Our installers, equipped with state of the art equipment, will complete installation of interior and exterior signs efficiently and effectively. Delivery and installation of the last sign does not mean that the project is complete. ASI professionals will walk through the facility together with the client to verify that all signs have been manufactured and installed according to their expectations. Even after the final sign off by the client, we continue to consult and listen by following up and asking for feedback from the client, and learning from our experiences. Over time the need will arise to order new signs related to the original ASI signage solution. ASI’s exclusive Online Ordering System (OOS) provides web based technology to ensure that clients can quickly and efficiently place signage reorders that will be filled expeditiously at a reasonable cost. Reorder your signage in a matter of minutes with our Online Order System (OOS).